"Grief" is a story told through 22 paintings (see sample pages below). 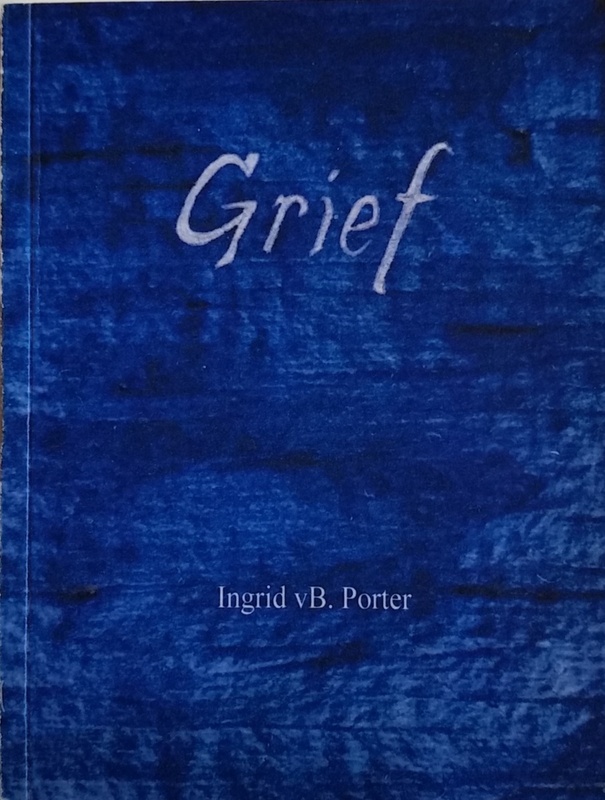 Ingrid created it at a time when words seemed inadequate, so she painted how grief felt. The story begins with a single tear. More tears fall, pool, and eventually fill the frame. A (purposefully) too-long period of full-dark pages follow. Just when the dark seems overwhelming, a single star appears that shifts the viewer's perception of the darkness as an ocean-of-tears to a gentler dark of night-sky. Slowly, stars return. Clouds come, but then dissipate. A long-awaited dawn finally brings the promise of light. The paperback edition is affordably priced for gifting to loved ones, or use in hospice, grief counseling, loss of a pet, and perhaps with victims of assault or trauma. Told exclusively through pictures, it can be understood by children and by non-English speakers.